Cutaneous bacteria may play an important role in the resistance of amphibians to the pathogenic fungus Batrachochytrium dendrobatidis (Bd). Microbial communities resident on hosts’ skin show topographical diversity mapping to skin features, as demonstrated by studies of the human microbiome. We examined skin microbiomes of wild and captive fire-bellied toads (Bombina orientalis) for differences across their body surface. We found that bacterial communities differed between ventral and dorsal skin. Wild toads showed slightly higher bacterial richness and diversity in the dorsal compared to the ventral region. On the other hand, captive toads hosted a higher richness and diversity of bacteria on their ventral than their dorsal skin. Microbial community composition and relative abundance of major bacterial taxonomic groups also differed between ventral and dorsal skin in all populations. Furthermore, microbiome diversity patterns varied as a function of their Bd infection status in wild toads. 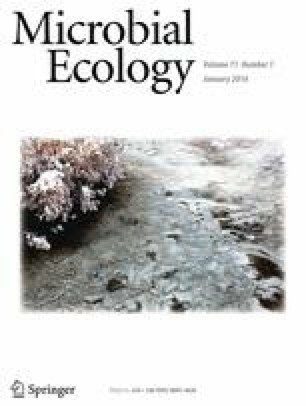 Bacterial richness and diversity was greater, and microbial community structure more complex, in wild than captive toads. The results suggest that bacterial community structure is influenced by microhabitats associated with skin regions. These local communities may be differentially modified when interacting with environmental bacteria and Bd. A better understanding of microbiome variation across skin regions will be needed to assess how the skin microbiota affects the abilities of amphibian hosts to resist Bd infection, especially in captive breeding programs. Arnaud Bataille and Larisa Lee-Cruz contributed equally to this work. The online version of this article (doi: 10.1007/s00248-015-0653-0) contains supplementary material, which is available to authorized users. We thank Jonathan Fong and Moonsuk Cha for assistance with fieldwork, and Dharmesh Singh for assistance with laboratory work. This work was supported by the National Research Foundation of Korea (NRF) (grants 2012K1A2B1A03000496 to B.W., funded by the Ministry of Science, ICT and Future Planning, and 2014063422 to A.B.., funded by the Ministry of Education, government of the Republic of Korea).